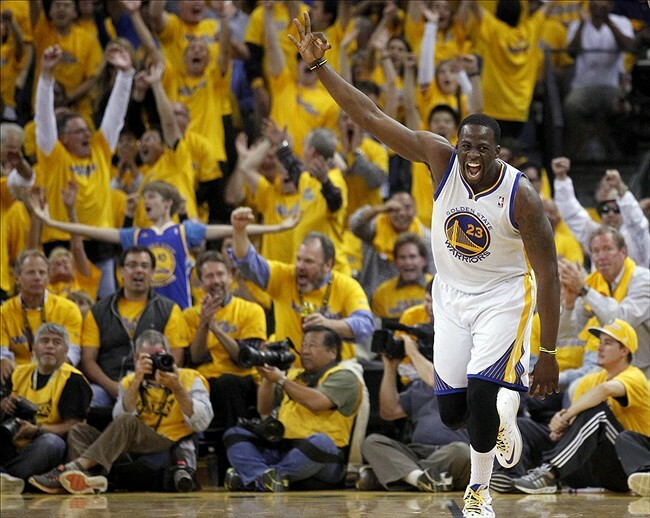 For professional sports bettors, basketball is almost as appealing as football. It is a fast-paced sport, with wagers being placed on both the professional and collegiate associations. Betting on NBA games is similar in some ways to betting on NFL games, although there are also some differences that many professional sports bettors take into account when wagering on each sport. 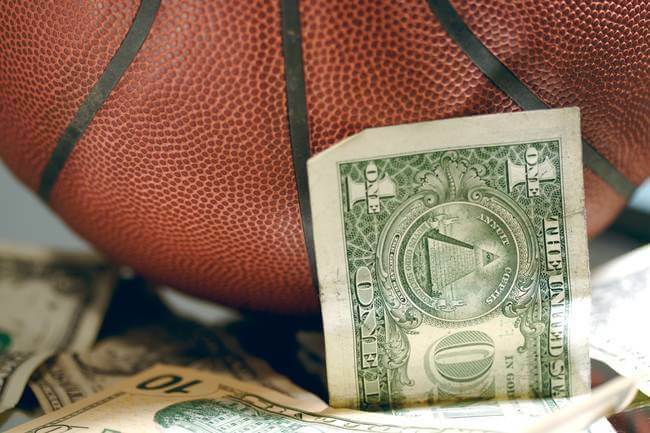 One of the reasons that basketball is so popular for bettors is that it can be exciting to wager on a sport with as many games per week during the regular season as there are in professional basketball. If a person bets on even just one game every night during the regular NBA season, then they are going to experience a wide array of emotions as they win or lose big every night. One week might be devastating in terms of losses, while the next week more than makes up for it in terms of winnings. Naturally, you are going to want to maximize your winnings as much as possible every week. Even if you already have a basic understanding of how to properly bet on NBA games, there is something to be said for taking a few cues from the professionals who have managed to make the bulk of their living by betting on these games. With dozens of games in the regular season, there are a lot of opportunities to profit from betting the NBA if you follow the tips learned from these professionals. Bear in mind that there is always an element of chance when betting on any sport. That is ultimately part of the fun, and part of the reason that winning a bet can be so rewarding. Even so, professional bettors will pay attention to certain facts and strategies when placing their bets. If you wish to learn how to profit like the pros do, then you may want to adhere to the following advice. Most basketball teams will not give the exact same performance on every court. The way they play at home may be very different from the way they play when they are visiting their opposing team. Of course, this principle does not apply to every team. There are some teams with the focus to maintain their basic playing style on any court that they happen to find themselves playing on, and this means that there is no such thing as home court advantage when they are involved in a game. Whether a team’s performance varies or stays the same, it is important to pay careful attention to how they perform on each court. There could be any number of reasons for this. Some teams will not perform as well when they are visiting because they are tired from being on the road. They may have had to travel a long way to get to the other team’s hometown, meaning that they have not had a chance to run drills or practice as much as the team they are playing against. On the other hand, some teams perform decently when on the road but will still perform better in their own hometown due to the thrill of playing in front of their primary fan base. Usually, sportsbooks will take this type of data into account. Of course, this might depend on the individual bookmakers, so there is certainly room for error. Also bear in mind that the bookmakers are not superhuman. Even if they normally handicap games pretty well when deciding on point spreads and money lines, they are still human and are capable of making a mistake. This means that you will stand to profit if you can identify a weakness in the lines they have set based upon each team’s past performances both at home and while away. The best way to account for this type of data when betting on an NBA game is to look at each team’s performances over the last five games or so. Some pro bettors might suggest that you look at their performances for as many as ten games. Obviously, the more data you have time to assess, the better your chances of placing the appropriate wager. With as many games as there are during the regular NBA season, it can be difficult to keep up with this endeavor, but it is certainly worth the potential payout. Knowing this type of information for each team will help you place just about any type of wager. Whether you are betting on the point spread, the over/under totals, or the money line, you will want to know the difference between a team’s performance on the home court and on the away court. If you think that there is a single successful bettor out there who ignores this aspect of a team’s performance when handicapping a game, you would be gravely mistaken. As mentioned above, knowing the difference between a team’s performance on the home court and when playing an away game can be integral to placing just about any type of bet. But this information takes on a slightly different tone when betting on over/under totals than when wagering on point spreads or money lines. However, do not fret. This is not by any means a bad difference. In fact, gauging each team’s performances at home and on the road can be incredibly useful when betting on the total combined score of any game. Again, it should be stated that many sportsbooks are going to be taking each team’s home and away performances into account when forming their totals for over/under bets. That said, it still helps to give each team a thorough assessment. Each team’s performance may have a lot to do with which team might win the game, which is important to wagering on point spreads and money lines, but their individual performances will also have a major impact on the overall total for the game. You will want to know how to estimate this total if you are going to be making a fair number of over/under bets. First, look at the total listed by the sportsbook. Let’s say that a game has an estimated total of around 180 points. Perhaps this is because one team has a general average of 100 points per game, while the underdog has an average of around 80 points per game. But there is more than this to be taken into account. Look at the usual totals for home and away games played by each team. Are these totals usually higher or lower than the O/U total listed by the sportsbook? Don’t stop by looking at the totals for each game played by each team. Also look at their individual scores, and see how these match up with one another. For instance, in the above hypothetical, one team had an average of 80 points per game. But this might go up by twenty points when they are playing at home, meaning that the estimate of 180 points is too low. If this is the case, then you might wager that the total for the game will be over the total given by the sportsbooks. Looking at each team’s total points per game will not provide all of the information you need to place this wager, but it will certainly help get you started. Other factors are going to need to come into play. Maybe one team plays stronger defense while they are on the road, but when they are performing in front of their fans they tend to play a more aggressive offense. Perhaps one team is simply more motivated at home to begin with. Try to do as much research as you can on each team’s playing style, and see what their strengths and weaknesses are when they are on the road or at home. You will likely find a few important details that might affect the total combined score of a game between the two teams you are researching, and many of these details will pertain to which team is visiting and which is playing for their primary fan base. There are some bettors who try to overthink things in an effort to find some underhanded way of winning or even simply to sound like they know what they are doing. Bettors with these types of inclinations will often try to look for hidden betting strategies by assuming that certain common rules are actually misconceptions. In the process, they may adopt the dubious belief that home court advantage is nothing more than a myth. Not only is home court advantage a very real thing, but it should most certainly be factored into your wagers. That is not to say that you should just automatically wager on any team that is playing at home, but that you should pay careful attention to the importance of the team’s fan base and the motivating influence that this may have on their performance. Bookmakers are already well aware of this influence, to the point that they will usually adjust the spread by a few points in favor of the home team in just about any game. This stands to reason when you consider that the overall combined win-loss records for teams that make the NBA Playoffs tend to favor a far greater ratio of wins to losses when the teams were playing home games than when they were away. As stated in the above sections, there are multiple factors that account for this advantage. One of the major factors aside from the sheer motivation that teams receive from playing for a cheering stadium full of their own fans is the fact that they are not nearly as exhausted as they would be from traveling to play road games. They are able to rest more easily the night before the game, and they are able to train during time that would be spent traveling if they were playing an away game. Of course, while the fans are only one aspect of home court advantage, they are an admittedly huge part of what makes this concept work. Just look at how well the Golden State Warriors have performed this year. 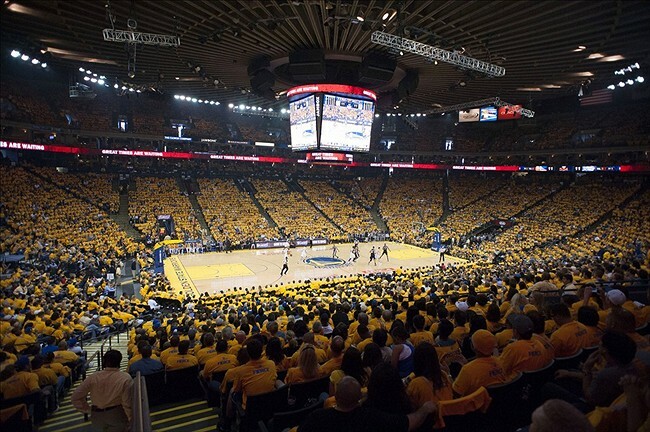 They are known for their fan base, sometimes jokingly referred to as the Bay Area Crazies. We said earlier that home teams are often given a few points on the spread, but Golden State arguably deserves a few more due to the strength of their loyal and dedicated fan base. The same can be said of Oklahoma “Loud” City, and some other teams with major fan bases. A dedicated fan base will not always result in a major home court advantage, but even teams that are in the midst of a terrible year will likely do a bit better on the home court. Some exceptions may arise, such as in the case of a team that has just returned home from a number of road games and may still be exhausted. But even in these cases, the team might be able to rally due to the determination they feel when playing in front of their fans. In such cases, it might be wise to bet on the home team beating the point spread. If all of the numbers predicted by the sportsbooks were perfect, then the above tips would be essentially worthless. The reason that these tips tend to work for professional bettors is that, as we said above, bookmakers are only human and are prone to make mistakes. In addition, there are usually intentional inaccuracies in some sportsbooks that are meant to lead bettors into betting a certain way. After all, you should never forget that the sportsbooks are trying to profit off of your wagers just as much as you are. But let’s focus on the human error aspect of these inaccuracies rather than the opportunism of certain bookmakers. Have you ever heard that two teams were playing against each other, and immediately felt that you knew which team to wager on before you even saw the point spreads or money lines? While bookmakers may put a bit of work into handicapping games and setting lines that will be relatively fair to bettors while still allowing them to make a profit, they are sometimes prone to the same instinctive guesswork that allowed you to believe you knew the outcome of a game without even reading up on the stats. There are a few different factors that may lead a team to become overvalued in this fashion. Maybe they had a whirlwind season the year before and most fans expect them to do just as well this year, or maybe they have a player such as Kobe Bryant. But look at the losing record posted by the Lakers this year, and you can see that these factors do not always mean as much as you might expect them to. If you think a team might be overvalued for reasons such as those above, then you might want to check the stats and see if the underdog could be taking home a win on the game in question. Conversely, some teams are greatly undervalued. Maybe they have a notable lack of star players, or perhaps their performance in general has been lackluster over the past few years. When a decent team plays against them, the favored team is likely to earn quite a few points on the spread. But that does not mean the favored team will actually manage to cover the spread, and this is where the element of opportunism comes in. The sportsbooks know that many bettors will expect the underdog to perform terribly, when in reality they might do just well enough to beat their opponents on the spread. If you can find a sportsbook where the spread seems to be inflated on the sole basis of the reputation of the competing teams, then you might want to place a bet that most novice bettors wouldn’t think to place. Wager on the underdog for the spread, and avoid losing juice money just because you fell into the pitfall of thinking that you were betting on a sure thing. Never forget that when something looks too good to be real, it almost definitely is. This is especially true of any sportsbook that seems to be offering you an opportunity to place an obvious bet for surefire winnings on a team that you’d expect to cover the spread, when in reality that spread is almost definitely going to be inflated for the sole purpose of manipulating you into this very way of thinking. It cannot be overstated that placing any wager involves more than the ability to read team trends and statistics. It is not just about exploiting faults in the lines set by the sportsbooks, or about understanding the importance of home court advantage and the differences between a team’s performance on the road and the determination they exhibit when playing in front of their fans. While all of these things are important, there is also a great deal of chance involved when you decide to bet the NBA. Think about this for a second. The above entry on knowing the difference between a team’s reputation and their actual performance abilities is a major indication that a team will not always do what you expect them to do. A greatly undervalued underdog might beat a respectable favored team by a landslide, even when some of the best handicappers failed to see it coming. It may not happen exceedingly often, but that does not change the fact that anything is possible. There are a few reasons that games might take unexpected turns. Let’s look outside of the NBA for a second, and look back at the NCAA Division I Tournament. While Kentucky made it all the way to the Final Four, they had gone on record early in the tournament with the fact that they did not take all of their early opponents seriously. Their first tournament match against the Hampton Pirates could have resulted in a surprising upset. Kentucky dominated the first half, but only scored four more points in the second half than Hampton did. Kentucky likely did not see this late push by Hampton coming, because they had not watched any of Hampton’s games in preparation for the round. NBA teams make the same assumptions about underdog opponents, often with more tangible consequences. 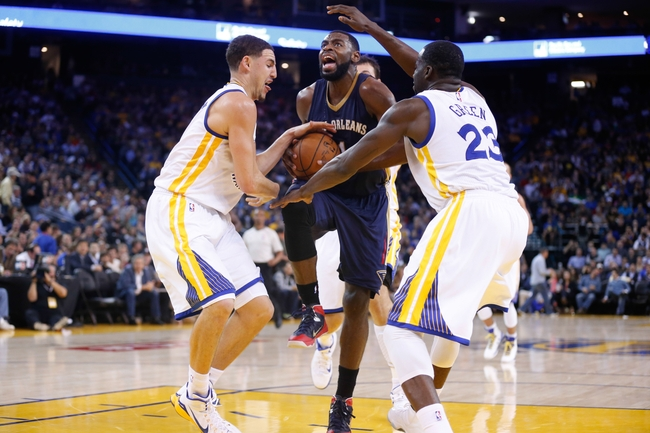 The Golden State Warriors have won games against great teams this season, such as the Memphis Grizzlies, yet have also lost to lower ranked teams such as the New Orleans Pelicans. They likely psyched themselves up to play the Grizzlies, but did not bring their A-game against the Pelicans because they expected the game to be a blowout. Things like this happen all the time, and the sportsbooks make a pretty penny off of it because there simply aren’t going to be too many people betting on New Orleans when they’re going against the best team in the association this year. The point is that you should never expect that you know the outcome of a game. There are no certainties on the court, even when one team is far better than the other on paper. Handicapping a game will help in most instances, but there are always going to be unexpected outcomes that could absolutely bankrupt a bettor who makes reckless decisions. The real pros of sports betting know the art of restraint, and are therefore less likely to find themselves in this type of situation. If you give in to hubris, you are likely to wager too high on a team that might not cover the spread or might even lose altogether. If you want to bet the NBA like a true professional, avoid this type of irresponsibility at all costs.